For the second year the KSLQ4SOMO teach raised the most money for Missouri Special Olympics by going Over the Edge on October 7th. 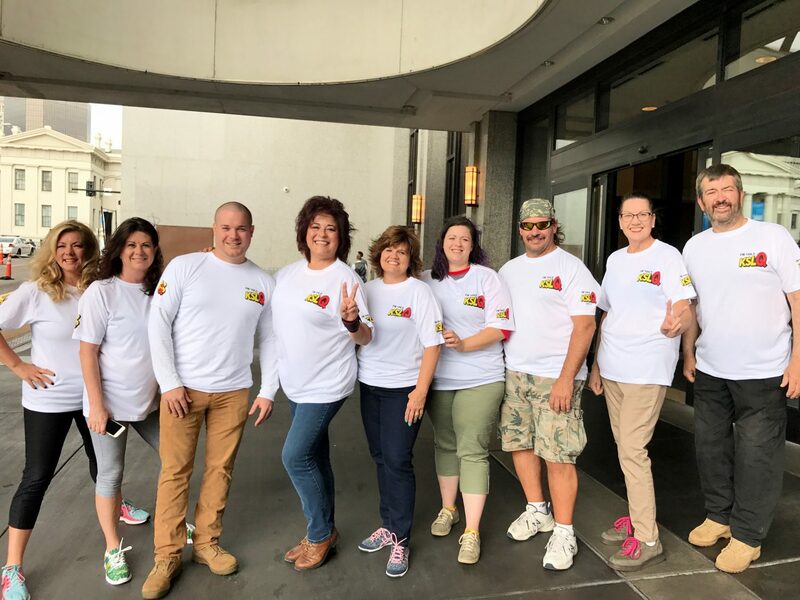 The KSLQ4SOMO team raised over $10,000, which was the most of any Over The Edge Team in Missouri. All of the team members successfully rappelled 200 feet down the side of the Hyatt Hotel at the Arch in Downtown St. Louis. Thanks to everyone who donated to Missouri Special Olympics who put us over the top with Over The Edge.